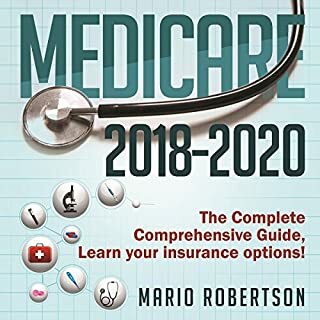 Medicare: 2018-2020 The Complete Comprehensive Guide: Learn Your Insurance Options! 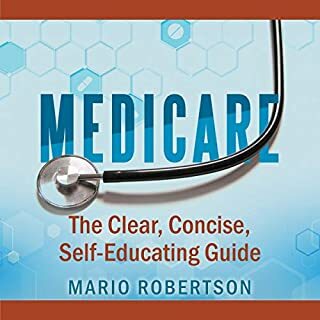 Inside Mario Robertson’s Medicare 2018-2020, you’ll discover how to get the benefits you deserve from this wide-ranging program. Whether you’re over 65 or have a covered disability, you (and 15 percent of the US population) need to access the full extent of your Medicare benefits. With this book, you can cut through all the outdated and confusing information out there - and find the help you need. 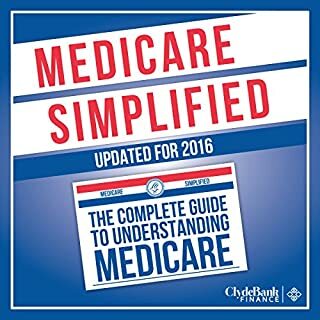 Medicare: The Clear, Concise, Self-Educating Guide simplifies the entire process. Only hand selected information is included to best serve the most common scenarios senior-citizens encounter when transitioning into medicare. Spare yourself the experience of filtering through thousands of pages of information, and consider a simplified guide that details only the most relevant information. Health-care costs in the United States are growing higher every year - especially for those over 65. Approaching the autumn of your life without being confident your health-care costs will be covered can be very frightening. Simply put, if you don't understand how Medicare works, you could be missing out on proper coverage that could protect you and your loved ones. 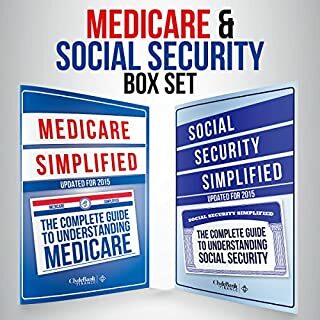 In simple language, this book will make sure that you receive every penny from Social Security that you are entitled to receive which may add up to an extra $1000 and even more to your monthly check or direct deposit! Social Security: finally simplified for the everyday person and explained in laymen's terms. 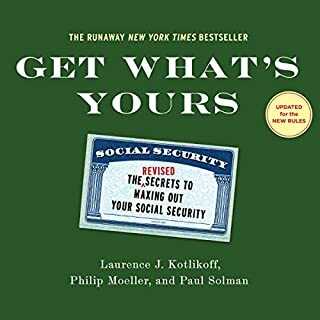 This book breaks down Social Security so simply that you'll know exactly how to maximize your benefits for life! Disability and retirement can be very frightening words for someone who does not have a firm grasp on their finances. Having to provide for yourself and your family during those times always becomes paramount. If you don't understand how Social Security works, you could be missing out on huge benefits. Social security is an important income source and should not be overlooked. As a retirement income staple, it should be maximized whenever possible. Let Tom Hegna show you the most common mistakes people make regarding their social security benefit and how to avoid their costly consequences. Social Security provides the bulk of most retirees' income and Medicare guarantees them affordable health insurance. But few people know what Medicare covers and what it doesn't, what it costs, and when to sign up. Nor do they understand which parts of Medicare are provided by the government and how these work with private insurance plans - Medicare Advantage, drug insurance, and Medicare supplement insurance. Do you understand Medicare's parts A, B, C, D? Which Part D drug plan is right and how do you decide? Which is better, Medigap or Medicare Advantage? What do you do if Medicare denies payment for a procedure that your doctor says you need? How do you navigate the appeals process for denied claims? If you're still working or have a retiree health plan, how do those benefits work with Medicare? Do you know about the annual enrollment period for Medicare, or about lifetime penalties for late enrollment, or any number of other key Medicare rules? Health costs are the biggest unknown expense for older Americans, who are turning sixty-five at the rate of 10,000 a day. Understanding and navigating Medicare is the best way to save health care dollars and use them wisely. 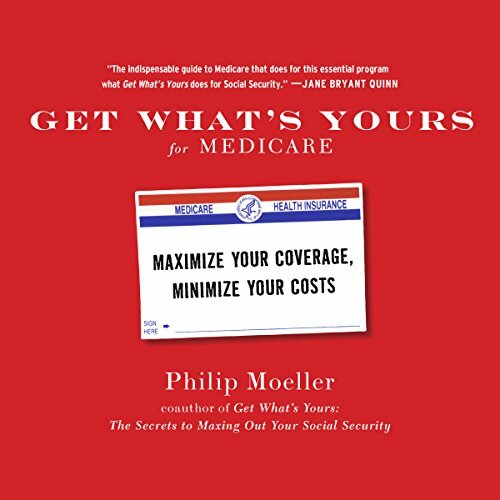 In Get What's Yours for Medicare, retirement expert Philip Moeller explains how to understand all these important choices and make the right decisions for your health and wealth now - and for the future. ©2016 Philip Moeller. (P)2016 Brilliance Audio, all rights reserved. I liked the audio book so well that I also bought the physical book. It will serve me well as a reference. The author takes mind-numbing cemplexity, and organizes it for presentation that is logical, practical, and often makes his points with stories. This helps the reader to understand and remember. I listened for about an hour. The author starts by describing serious problems that people have with Medicare because of lack of clear information. Assuming that the author was using that approach to hook me, I listened to more. I expected him to then outline his approach to breaking Medicare into its pieces and how they connect to each other. However, he continued in the same vein with no apparent organization. A logically organized treatment of Medicare would have been gratefully accepted. This book is not it. Would you be willing to try another one of James Foster’s performances? Yes. The reader is quite good. Medicare is pretty boring. But this book is so informative I remained hooked the entire time. I've been in Medicare sales for 4 years and thought I knew a lot about Medicare. This book showed me quite a few things that I wasn't aware of. It also confirmed certain things I had heard, but wasn't sure if they were true or not. 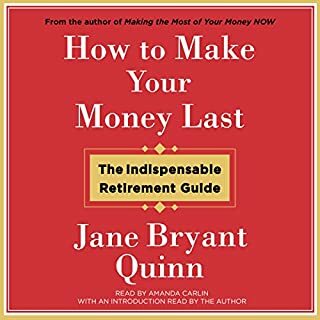 I recommend to my clients turning 65 that they read this. Very nicely done!